Chapter 6 of 7 in the DesignWare history thread. By 1983 we were publishing and shipping titles under the DesignWare label. A very different proposition from just working with other publishers. 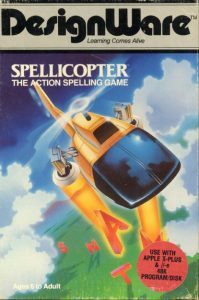 Previously we had to sell the publisher on the idea of a particular title or game. Then the publisher would take on the risk at that point. Now we had to be sure we weren’t deluding ourselves by developing something that might not sell. 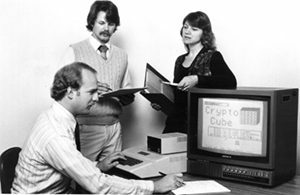 And we now had to manufacture the floppies, eventually the CDs, on which the software would be shipped. We added sales and marketing. 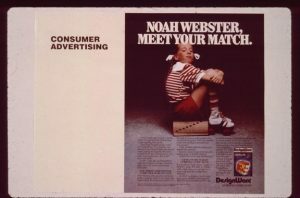 We formed a relationship with an advertising agency (and PR) Patterson & Glen (and Doug Glen became a friend). A month or so after we signed our contract with Patterson & Glen, they announced they were being bought by D’Arcy, McManus & Masius — becoming the digital agency for a big traditional agency. We were all going through big changes. (Doug later on escaped advertising, playing a pivotal marketing role at LucasArts Entertainment, inviting me to Skywalker Ranch for lunch, and then into newer ventures.) All of these were learning experience for me, though I felt that almost everything I learned made very natural sense. 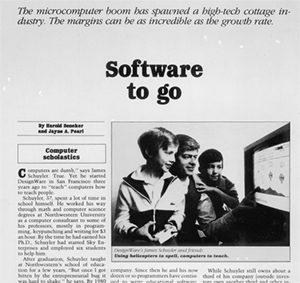 A 1983 Forbes Magazine article subtitle proclaimed Software to go “The microcomputer boom has spawned a high-tech cottage industry. The margins can be as incredible as the growth rate.” My company was one of three featured in this article. Cottage industry? Well kinda. We grew this company from a downstairs room at home and $3000 credit on a card. But we were engineering our company about as much as we were engineering our software. It was all conscious, and not the least bit haphazard. I will mention that at this point our diversity balance was interesting. San Francisco is somewhat diverse, and yes, we were founded by a white male, but half the VPs were female and development was approaching half female, with maybe 1/3 of the programming group being in that classification. And I mean hard-core programmers too. So I’ll claim we were good in those days on gender in software development. I thought this was potentially a turning point for software, at least for software in our field. I was happy to promote this. Jan Davidson had founded one of our big competitors. Ann Piestrup (McCormick) had founded Learning Company. Kathryn Carlston was one of the founders of Brøderbund. Joyce Hakaanson ran the CTW (Sesame Street) edutainment group. One of my heroes, who was an analyst paying some attention to our field, was Esther Dyson. I think it’s worth comparing this with what we see in software today. I won’t make the comparison. You do it. Hey, look, we struggled with success. The company grew. We were struggling at between $1 and $2 million in gross annual sales. It’s not where we projected we’d be, but by 1984 we were at almost 10x revenues compared to 1980. 10x growth in about five years. And we were constantly growing the company. But investment and cash got in the way. We were often short on cash, and frequently negotiating payment dates. Retail is murder, with the big chains constantly stretching payment 90 to 180 days. At one point our lawyer went through, with me, and without anyone other than the board knowing, what the process would be if we filed for Chapter 11 bankruptcy. We had papers ready if they had been needed. We did not file. I’m not sure how we got through that one, but we did. Bill Goodhew, of MSA, later the CEO of Peachtree Software, came along and was interested in the company. We had approached several people about possibly selling our company, but Bill was really the only one who understood the business. MSA had bought Peachtree Software (desktop accounting software) and wanted to consolidate more software companies under that label. They’d bought EduWare, one of our competitors in a way, though not exactly in edutainment. And EduWare had recently combined with Blue Chip Software. So under Peachtree they would consolidate three brands. Everyone was stretched. Everyone was consolidating. It was a tough time. I won’t go through the detail, but DesignWare ended up being the operational structure under which all this could be combined by MSA. We sold the company. There were lots of shenanigans, and lots of positioning, and lots of bluffing, from shareholders, employees, ex-employees, and nevertheless MSA stood there solidly with a final (somewhat reduced) offer, and eventually we got the deal done. End of the summer, 1984, we became part of Peachtree Software. None of us got rich, but none of us lost our investment. Shortly thereafter, by my reckoning 38 days after, MSA announced that it would divest Peachtree, and us, and the other companies, either together or in pieces. 38 days of relative stability.